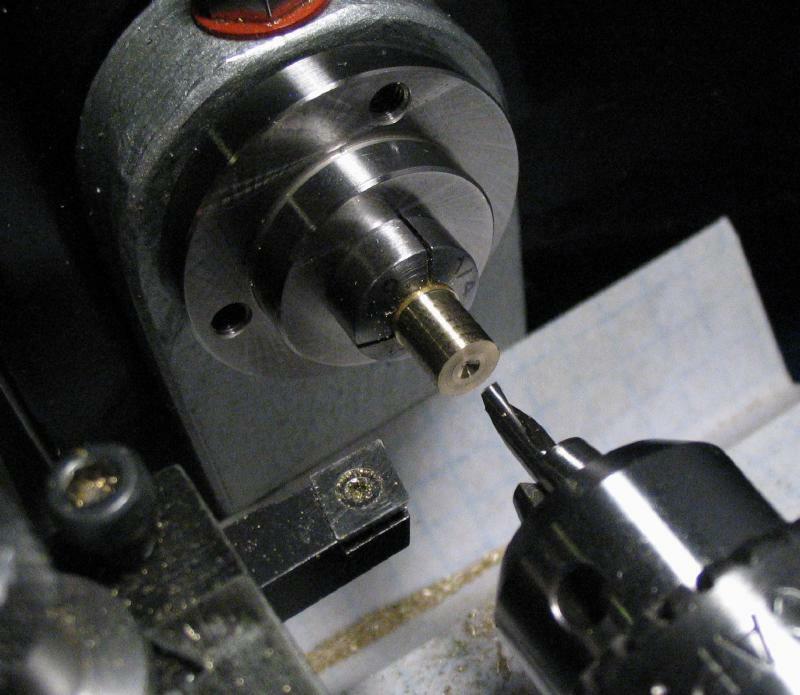 A very simple tool to assist in mounting work in a lathe chuck is described below. 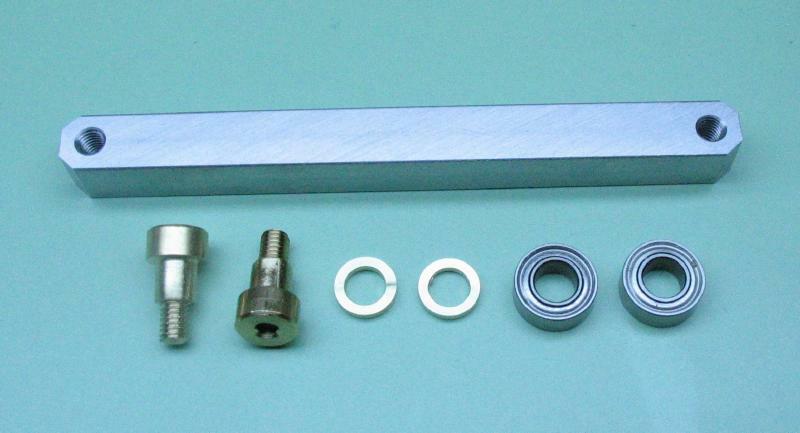 The tool consists of a shank that can be held in the tool post and an attached ball bearing. If mounting the tool in a quick change holder, then it is convenient to have a bearing on both ends of the tool. An example of its use is shown at the bottom of this page. The ball bearing is advanced with the cross slide to come into contact with the revolving round work that is loosely held in the chuck and nudges the eccentric (i.e. bumping) work into running true. 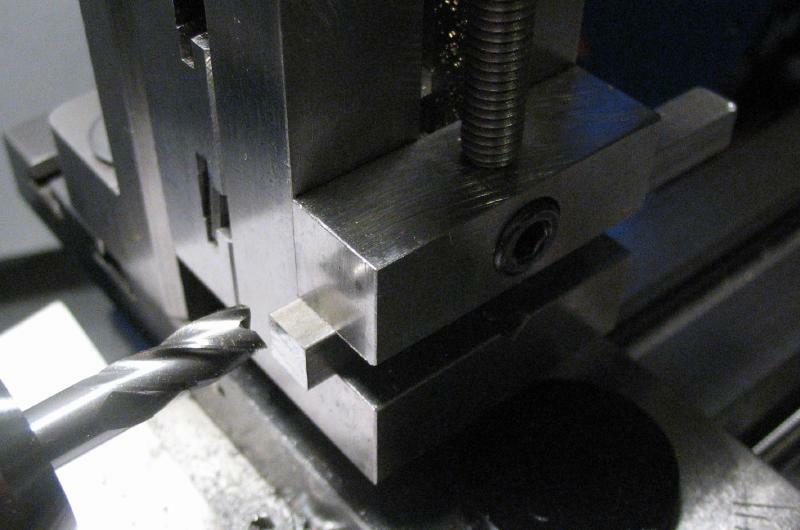 At this point the chuck is carefully tightened. 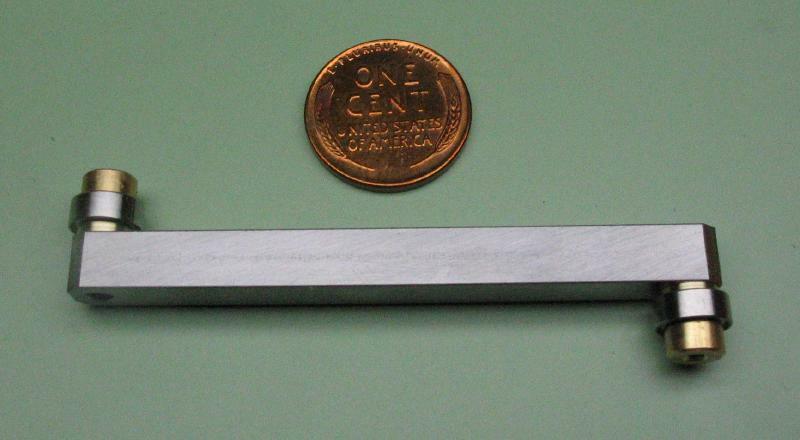 The tool was made from about 2.5" of 1/4" square steel bar (type 12L14). Two ball bearings, 8mm diameter with a 4mm bore, were purchased, along with M3 socket head shoulder screws for mounting them. 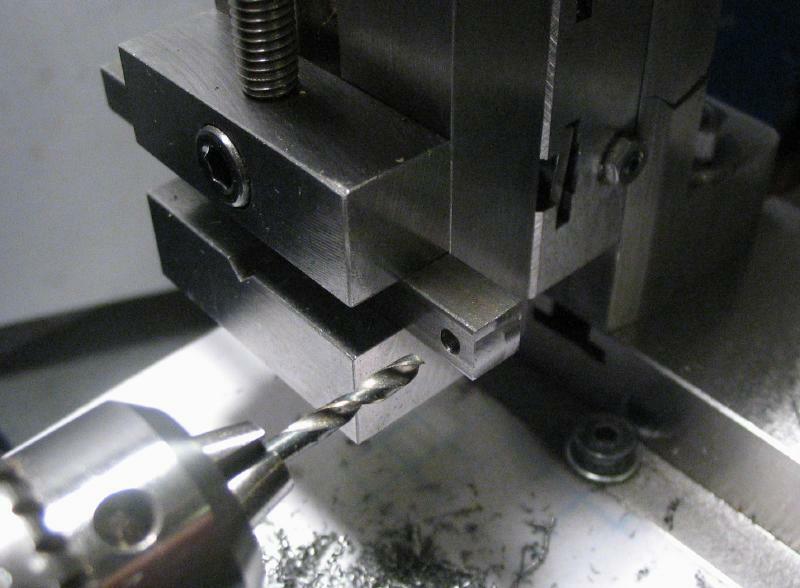 The steel bar was milled on either end to square them up, and a 2.5mm hole then drilled where the bearing will be mounted. The vertical slide was mounted on the adjustable mount for milling the corners of the bar. 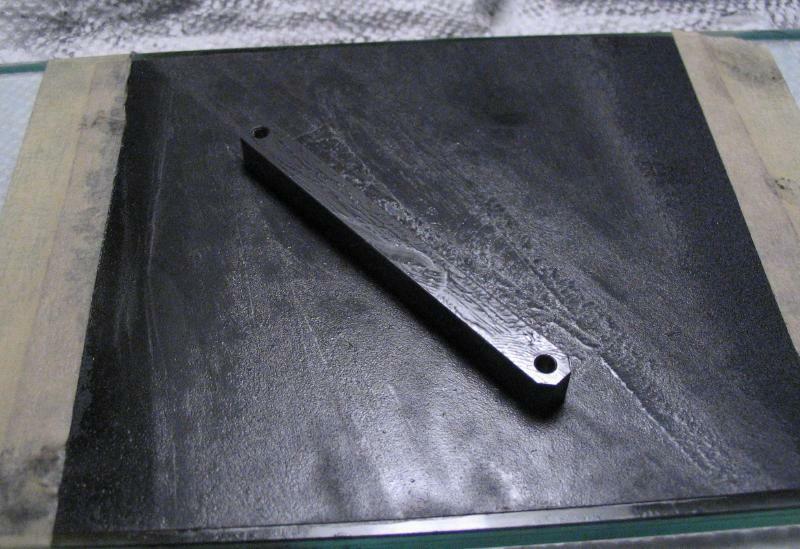 The holes were then tapped and the overall finish improved by rubbing on 400 grit emery paper. A couple washers were needed, which were made from 1/4" brass rod. The rod was turned down to 6mm and drilled 4mm. The washers are then parted off at about 1.2mm thick. An example of its use is shown below. 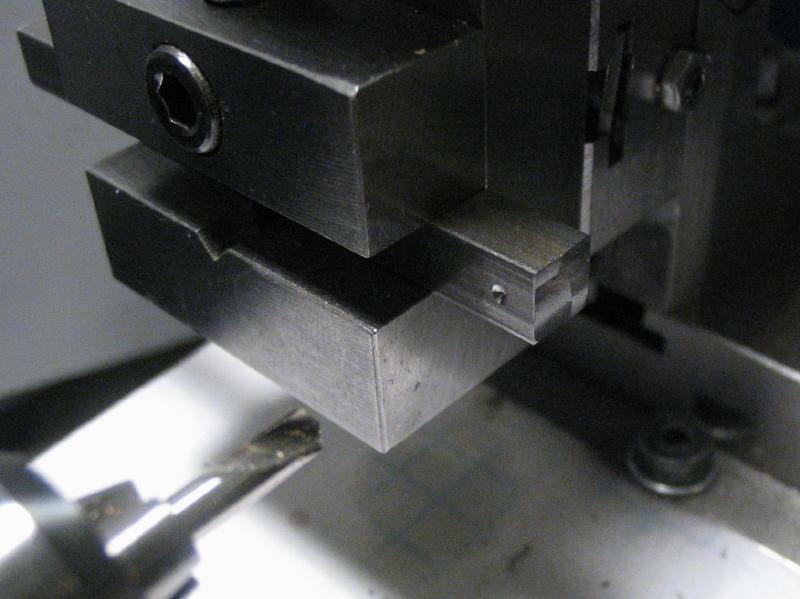 A previously turned length of steel needed to be returned to the 3-jaw chuck and being close to final diameter, needed to be centered fairly accurately. The 3-jaw chuck is 'self-centering,' however, there is always some degree of wobble when mounting work in a chuck. 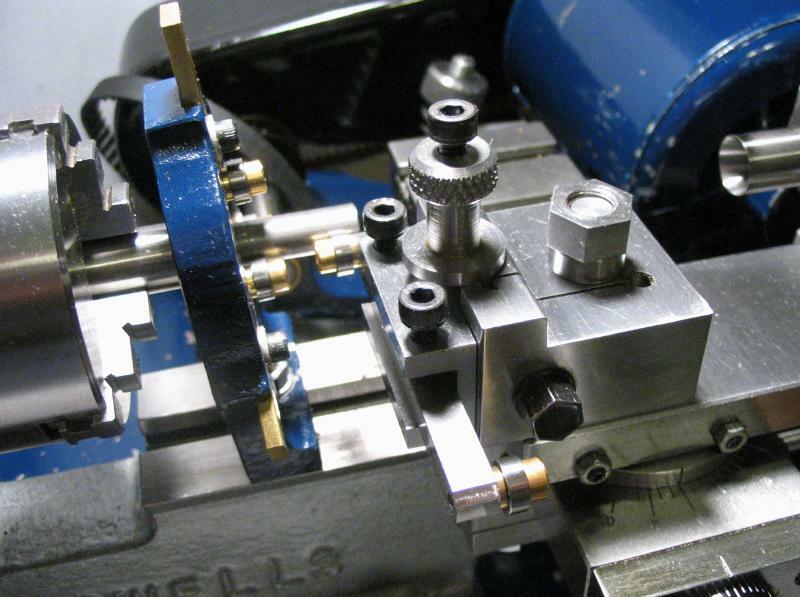 The steady rest is mounted on the lathe ready for use later, but is not being used here. 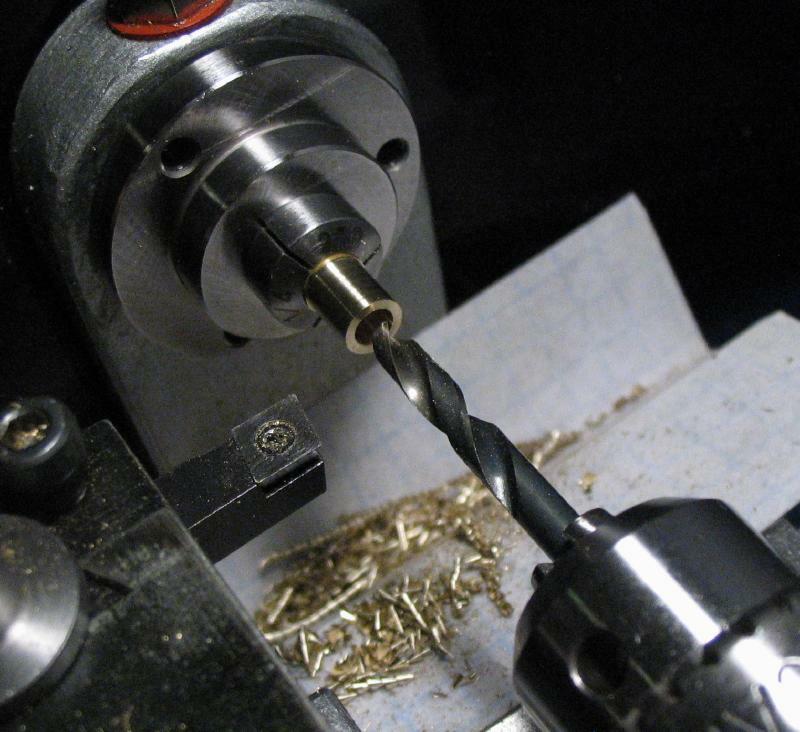 The work is very lightly tightened in the chuck and with the lathe running slow, the bump tool is slowly moved in to touch the surface of the work. 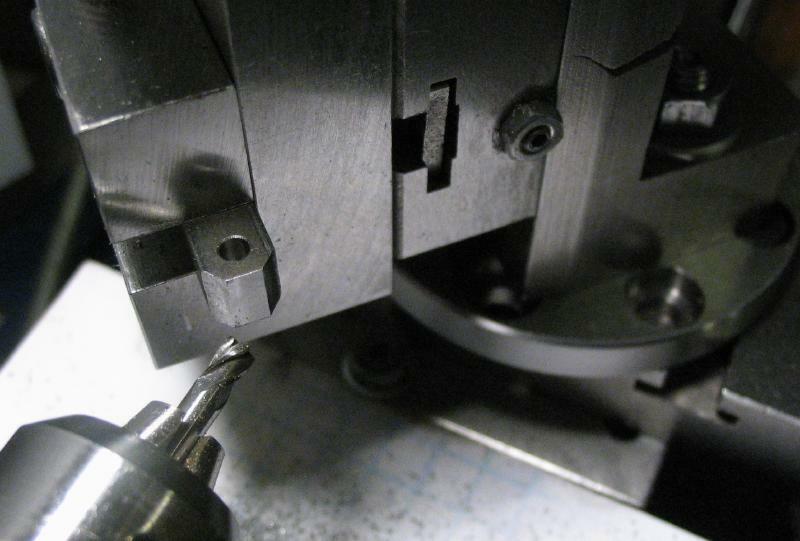 The wobbling end of the work will 'bump' into the ball bearing as it rotates. 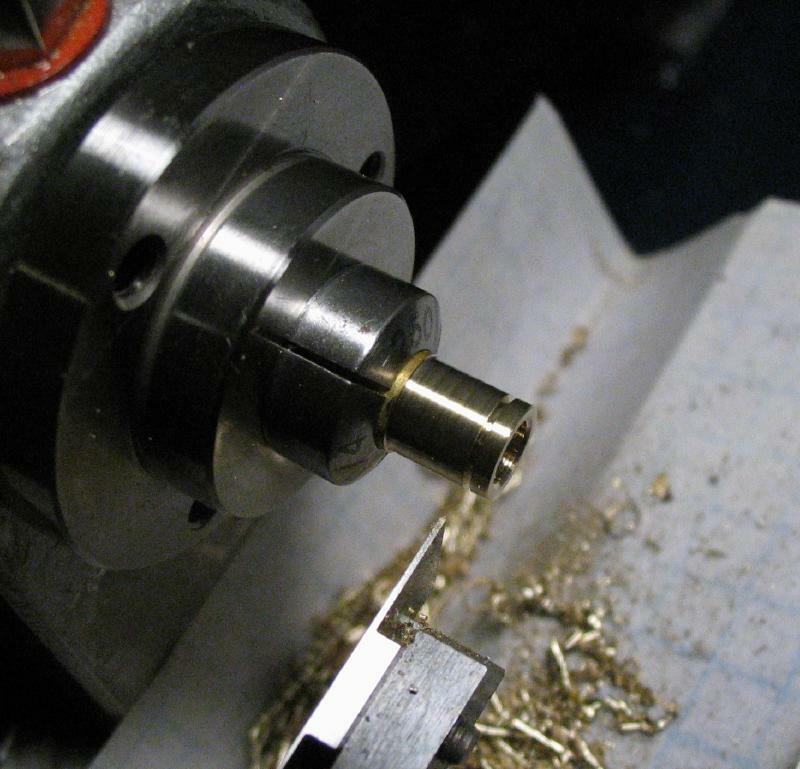 Pressure from the bump tool pushes the work onto center and this is approximately when the work stops bumping and is in steady contact with the ball bearing. The chuck can then be tightened up. 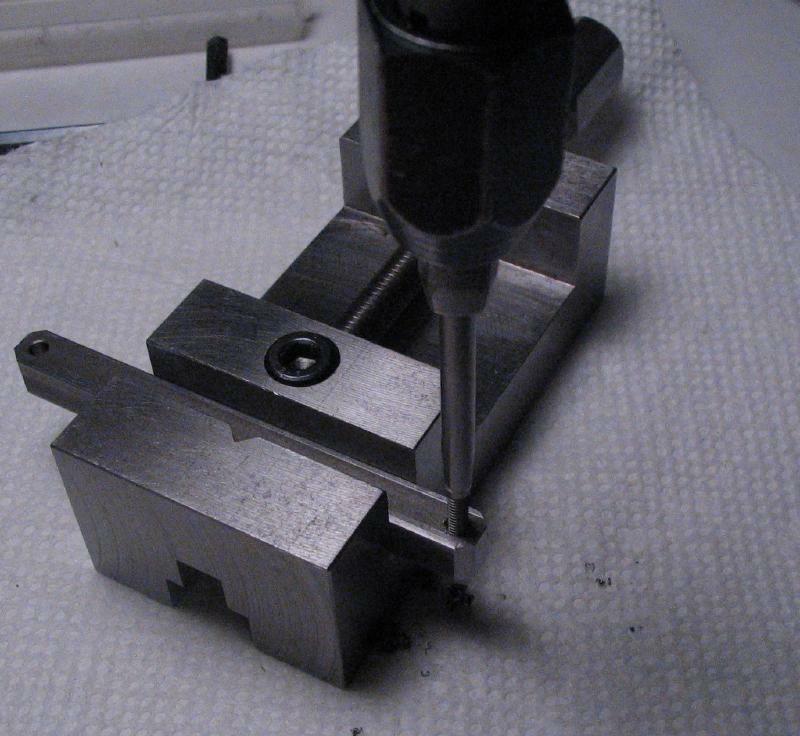 The setup for the bump tool shown uses a quick-change tool holder and toolholder clamp.